The AamAadmi Party's petition seeking dissolution of the Delhi Assembly and fresh elections was referred to a five-judge Constitution Bench of the Supreme Court while making it clear that lieutenant-governor Najeeb Jung was free to take a call on government formation and set the matter for hearing on 5th of August, 2014. 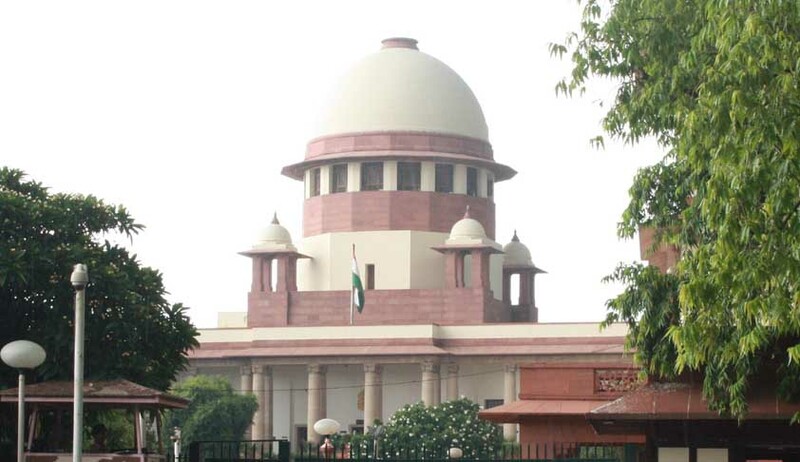 A bench of Chief Justice R M Lodha and Justices Madan B Lokur and Kurian Joseph, was requested by senior counsel Fali Nariman, appearing for AAP, for an early hearing of the issue in view of the important constitutional issues involved in the matter. Earlier last week, AAP Leader Arvind Kejriwal accompanied by AAP legislators met President Pranab Mukherjee to demand immediate dissolution of the Assembly and fresh elections in Delhi. AAP has said that keeping the assembly in suspended animation would thwart the citizen's right to have a democratic government in Delhi. Senior advocate Shanti Bhushan said, "” that dissolution of the assembly and fresh elections were the only constitutional way forward." Additional solicitor general P S Narasimha said AAP had no right to dictate when it had quit the government after being reduced to minority on the floor of the House. When AAP alleged that BJP was indulging in horse trading, both Narasimha and BJP's counsel Ashok Desai objected to it saying this was a ruse taken by AAP to seek fresh polls. Senior advocate Ashok Desai said AAP has been vacillating from don't dissolve the House to fresh elections in matters of days. He said AAP could not determine how the LG should proceed with the political situation and the party could not take the decision when there was no chance of formation of a popular government. The submission of the Centre and the BJP came after senior advocate Fali S. Nariman, appearing for the AAP, said the dissolution of the Assembly was necessary, particularly in view of the changing scenario after the Lok Sabha elections after which the Congress had categorically ruled itself out of supporting any political party for government formation. AAP's stand was opposed by BJP and Congress, which said it was best left to the LG to decide on the constitutional course of action in a fluid political situation. They said the court should not wade into a political situation. Congress was represented by Sri K Parasaran, former Attorney General .